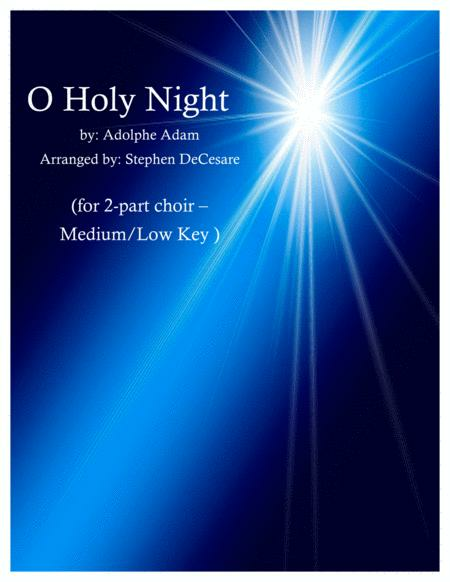 (French: Cantique de Noël) One of the most popular and beloved Christmas carols ever written has now been freshly arranged for a 2-part choir (Part 1: High Voices (Sop. & Ten), Part 2: Low Voices (Alto & Bass) with Piano accompaniment. 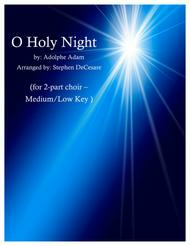 Accessible for all levels of singing and can be easily used in any church or concert setting. (Key of Bb).